Velocity Open For(u)ms invite one and all into an open, freewheeling discourse on issues in contemporary art and society. Open For(u)ms focus multiple Velocity Speakeasy Events around specific Velocity performances. The Velocity Open For(u)m FAILURE: Conversations Around Art + the Economy is a week of multidisciplinary art, book clubs, workshops, speakeasy panels, family style dinners and conversations taking place alongside Guest Artist Keith Hennessy’s Turbulence (a dance about the economy). A panel and community conversation framing the broader themes of Turbulence with Keith Hennessy and Mattilda Bernstein Sycamore, activist and author of Why Are Faggots So Afraid of Faggots? : Flaming Challenges to Masculinity, Objectification, and the Desire to Conform. Continue the conversation over a family style meal. Explore improvisation and performance skills with Keith Hennessy + the Turbulence Team. A dance and interdisciplinary lab for dancers, physical actors and performance artists. Join Seattle dancers for a conversation on economy and community over coffee and bagels. Turbulence (a dance about the economy) is an experimental hybrid of contemporary dance, political theater and improvised happening. This collaborative performance is a bodily response to economic crisis, engaging the frictions between disaster capitalism, debt, precarity, propaganda, torture, war, magic and queer identity. Instigated before the recent Occupy Wall Street actions, Turbulence is intended as both provocation and affirmation of the global movement for economic justice. Turbulence is also an experiment in developing alternative modes of producing performance. Integrating new cast members (as generative collaborators) for each performance, the work resists fixed or predetermined outcomes. Improvisation and queer are both survival strategies and political tactics. 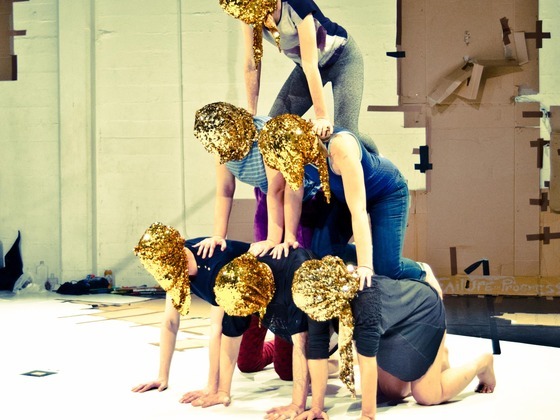 Accumulating dances, images, texts, and tactics with each cast, Hennessy’s process was tested at venues in San Francisco, Stolzenhagen and Vienna in 2011. Velocity’s presentation of Turbulence is created with an international cast and Seattle guest artists Markeith Wiley and Joan Hanna. Keith Hennessy is an award-winning performer, choreographer, teacher, and activist regarded as a pioneer of queer and AIDS-themed dance. His awards include two Isadora Duncan Awards, a New York Dance and Performance Award (Bessie), and a Goldie Award from the SF Bay Guardian. Hennessy directs Circo Zero Performance. He has performed and led workshops around the world at Dance Theater Workshop, American Realness Festival (New York), Impulstanz (Vienna), and Yerba Buena (San Francisco). Velocity’s presentation of Turbulence (a dance about the economy) was made possible by generous support from the New England Foundation for the Arts’ National Dance Project, with lead funding from the Doris Duke Charitable Foundation and additional funding from The Andrew W. Mellon Foundation, The Boeing Company, and the Western States Arts Federation with additional seasonal support from 4Culture, the Seattle Office of Arts & Cultural Affairs, ArtsFund, and The Seattle Foundation.